Since we live in our van full-time we often do not exit via the driver's or passenger door but instead through our side door. Sometimes when we arrive somewhere we are simply moving to the back to sit down and never exit a door. Our headlights only have a lights on buzzer that sounds when we open the driver's door. Since we sometimes have to turn them on during the daylight due to small two lane roads or rain sorts of conditions when we arrive at our destination we can forget that they are on. I would like to do something that would mean when we key off a buzzer would sound to tell us that we left the lights on. Thoughts on how to go about this? Last edited by CatFish; February 10th 2019 7:54 pm. Interesting catfish. didn't think about a kit of anykind. I was more wondering if i could somehow just run a wire from actual buzzer to some area of the 'key off' signal deal. If I take the key out of my Outback or Crosstrek the lights go out. Nicole you may be right. I'm not familiar with Dodges but if the mid 90's models have a headlight warning buzzer, and you could get a look at that wiring diagram, then an update would make an excellent Nicole project. Last edited by CatFish; February 11th 2019 12:55 pm. 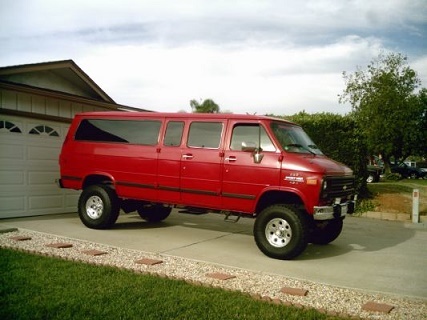 Lionvan - now that would be an option to create but on our 88 that is definitely not oem. Catfish - True. True. My mind is already working through thoughts.Perhaps I can figure out a way to trigger the door open doohickey everytime the key comes out. Hmmmmm. Frscke - Would be nice if ours was like that already. I assume it wasn't an original design considering the door open key out lights on buzzer works.